If you know what a headless CMS is, skip this section. The typical way of building a CMS-powered website is to choose a fully-integrated solution like WordPress and build your website as a collection of tightly embedded templates. Or if you want more control, you build your own integrated CMS using your preferred tech stack. Headless CMS solutions like ButterCMS are a relatively new approach to content management with many advantages over the "old" way. Headless CMS's allow you to build websites and apps that are decoupled from their content management tools and integrated via API. This gives you the flexibility to build your front-end using your preferred tools (eg. Rails, Node.js, Angular) while being able to integrate a customized, robust CMS with ease. A headless approach can save your team significant time and money in the initial implementation as well as ongoing maintenance. So you've decided that a headless CMS is right for you, so you pull up Google and start exploring the options. You find dozens of different CMS's selling the API-based approach and offering all kinds of features and add-ons. You come across SaaS options charging upwards of a $1000/mo, abandoned open-source Github projects, and confusing terms like "content objects". You also find articles about WordPress's API, and using Drupal with separate front-ends. How do you begin to make sense out of all this? I've created this guide to help. Headless CMS's are a confusing beast. Some new products call themselves "API-first", whereas many others have evolved to offer an API-based approach. For example, WordPress recently rolled out a REST API and maintains some client libraries, such as node-wpapi. Drupal 8 includes a RESTful web services API.. Using these API's, you can integrate any front-end with a WordPress or Drupal instance. Let's call these "traditional providers". On the other hand, there are "API-frst" SaaS offerings like ButterCMS that are built solely around API integration. So, considering traditional vs. headless, what’s the better approach? It depends. Both options work. If you're familiar with a traditional open-source solution like WordPress or Drupal, leveraging their API's for front-end freedom may seem attractive. But ButterCMS and CloudCMS are designed for the headless approach and offer a better developer experience. For example, WordPress offers official API clients for only two languages and no official guides. ButterCMS offers API clients for seven languages and over a dozen guides for various frameworks. Traditional providers like WordPress can also be severely limited in their flexibility and customization when integrated via API. This sounds surprising, since WordPress powers 27% of the web and is known for its rich, mature ecosystem of plugins that allow you to build anything from a massive publishing website to an eCommerce store. The problem is that most of the WordPress ecosystem does not address API usage. For example, to enable custom-fields in WordPress requires a plugin and a self-managed WordPress instance. But once the plugin is setup and custom fields are created, there’s no documentation on how the custom fields would be fetched over an API. Underscoring this problem is the existence of yet another plugin called WP REST API Custom Fields that aims to solve this. However as of the time of this writing, that plugin hasn’t been updated in over two years. In cases like this, the plugin-based extensibility of traditional providers like WordPress become useless and potentially impossible to work around. Headless solutions, on the other hand, are built from the ground-up to support flexibility and customization. For example, ButterCMS not only allows you to create custom content models and fields, it even allows you to customize the admin UI into user-friendly workspaces. What headless CMS solutions lack in available plugins, they make up for by integrating into a codebase and tech stack you fully own and understand. This means you can drop in other useful open source plugins or Backend-as-a-Service providers as you need. For example, you can combine a headless CMS with an API-based eCommerce backend like Moltin to build a complete eCommerce website without a database (or even a server!). Another consideration is whether to manage hosting yourself or not. As mentioned earlier, with traditional providers like WordPress, self-managed hosting may be your only option if you want to customize your CMS beyond default settings. When considering self-hosting management, remember you’re not just dealing with hosting fees, but moreover, full responsibility over making sure your website stays online and is secure. This includes database maintenance and backups, installing security upgrades, and having server monitoring systems in place. Chances are, your development team doesn’t enjoy spending their time backing up databases, setting up hosting, installing upgrades, and being responsible for monitoring content management system uptime. Going with a hosted solution means you are almost 100% freed from any type of maintenance. With headless CMSs, self-hosting is an option (eg. CloudCMS offers this), but hosted offerings are more standard. The benefit of this approach is that you never have to worry about maintenance or uptime for your CMS. You get to build your website and move onto more important things. Different products use different terms in their pricing plans, but generally it comes down to these four criteria. For example, ButterCMS offers unlimited API calls but caps on the amount of content, whereas CloudCMS offers caps on API calls but an unlimited amount of content. Simple, right? Also consider add-ons that you might care about such as publishing workflows, localization, and webhooks. One important factor to look at is support. When your team runs into a time-sensitive problem, quick assistance from a knowledgeable support engineer is hugely beneficial. Headless CMS providers are popping up all over the world, so in addition to responsiveness, consider timezone and language barriers that could affect communication. Another thing to pay close attention to is uptime – with a headless approach, your website is highly dependent on your CMS API. In most cases, if your CMS’s API goes down, so will your website as it will be unable to fetch content. For this reason, ensure a near 99.99% uptime level guarantee from the vendor, and do proactively prevent data loss scenarios. For example, the ButterCMS Ruby client offers the ability to setup a local fallback datastore such as Redis so that your website functions even if it cannot successfully connect to the ButterCMS API. For larger projects, you may be interested in enterprise-level service level agreements and white-glove support such as working directly with a solution engineer from the vendor. Usability: How simple and intuitive is the documentation, SDKs, and API? Flexibility: Is the CMS flexible enough to meet the needs of your project? Uptime: Is the API/SDK resilient and does it meet your uptime requirements? Content editor: How intuitive is the interface for your content editors? Support: In what country and timezone is the vendor based, and what level of support and responsiveness do they demonstrate? Pricing: Is the pricing scalable and predictable for your project (will API-usage based pricing can spike up unpredictably if your website traffic increases)? Remember that the key benefit of a headless CMS is they save your development team time and money. You can’t beat working with your favorite tech stack while having nearly zero maintenance. If you’re an agency, you’re able to launch your project faster and move on to the next project. If you’re a technology startup, you can knockout your CMS requirements in a day and get back to focusing on your core product. To maximize this, above all other factors, we recommend choosing your solution based on developer experience. Which CMS is the easiest to integrate? Which CMS has the best documentation? Which CMS has the simplest SDKs? Don’t sweat a few extra bucks here and there on subscription costs — chances are a couple days worth of your development team’s time is much more expensive than the subscription costs you are fretting over. Receive tutorials, informative articles, and ButterCMS updates to keep your work running smoothly. 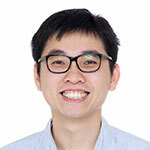 About the author: Roger Jin is an engineer at ButterCMS. He loves talking and pairing with other developers. You can find him at roger@buttercms.com where he will definitely reply to you.